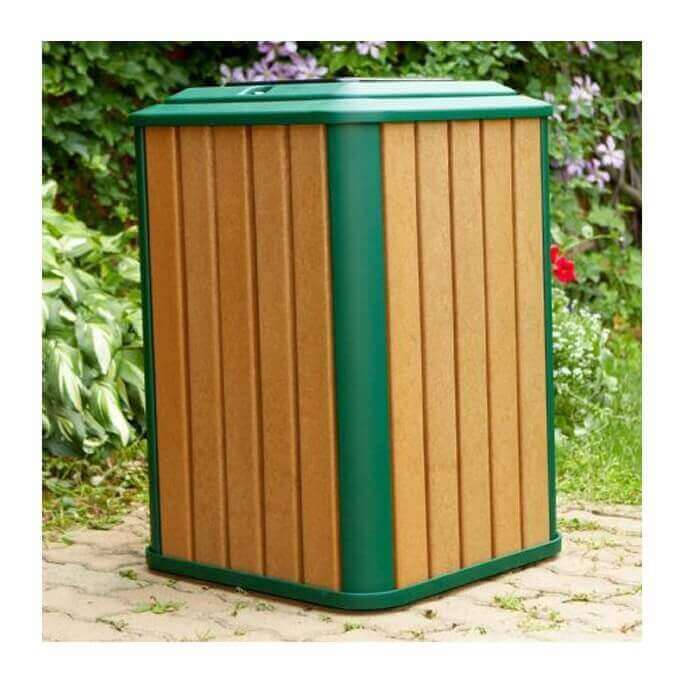 32 Gallon Recycled Plastic Square Receptacle with Steel Frame - 185 Lbs. 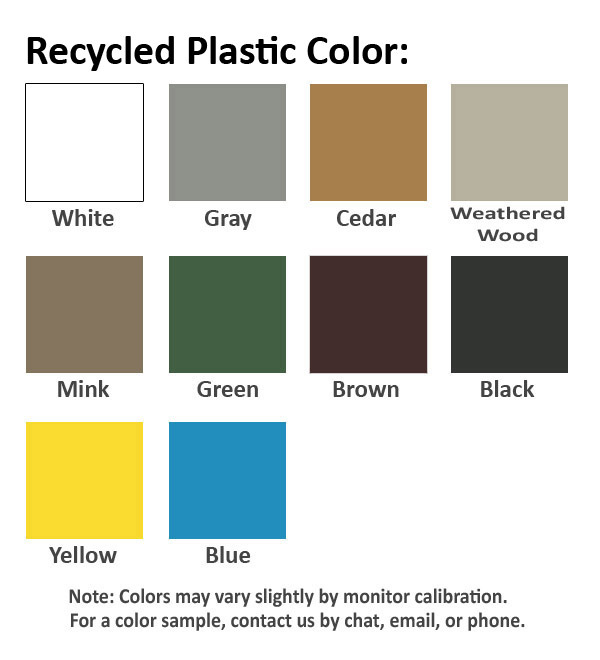 Our 32-gallon recycled plastic square receptacle with steel frame is a must have for gardens, schools, and parks. Crafted out of heavy-duty recycled plastic lumber for the slats and a strong powder-coated steel frame to make a durable, low maintenance trash receptacle that will last years both in and outdoors. 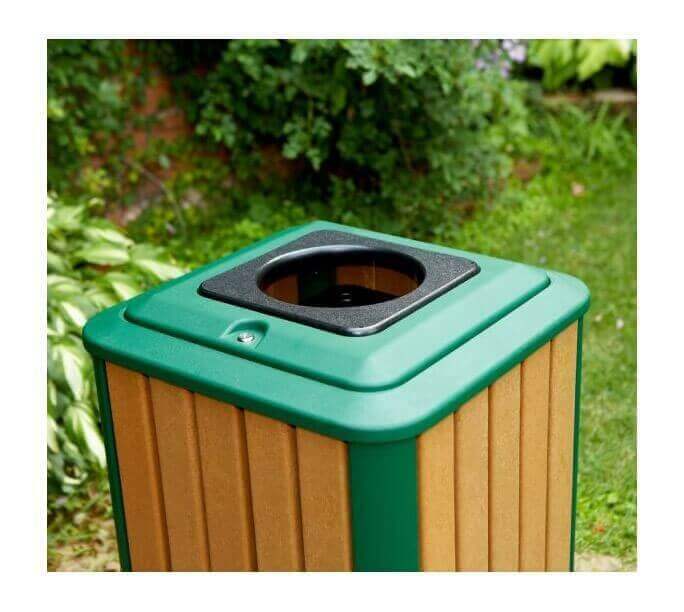 Features a lid with a 9" round opening and a hinged locking door on the top for easy trash removal. 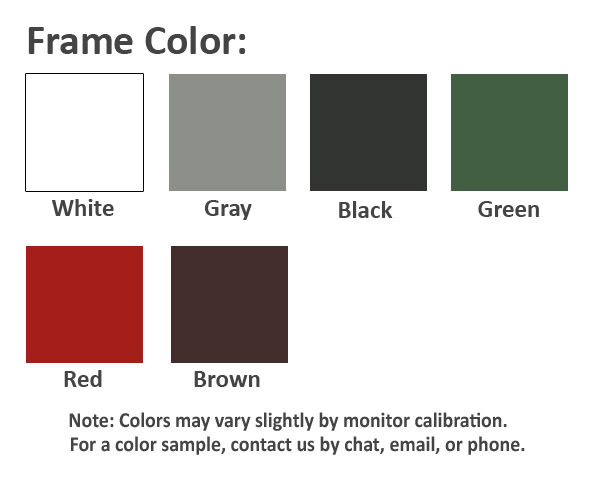 Customize the look by choosing between our beautiful color options for both the slats and frame. 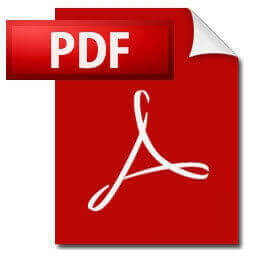 Includes anchor holes on the bottom to fasten the receptacle to a concrete surface, protecting against theft and vandalism. This product is made in the USA and is supported by our 5-year commercial warranty. • Dimension: L 22.10" x W 22.10" x H 32.75"
6 Ft. Classic Recycled Plastic Picnic Table - 279 Lbs. Park Ave Recycled Plastic Bench with Cast Aluminum Frame - 5 Ft. or 6 Ft.